According to the International Labour Organisation, unemployment in India is projected to hit 18.9 million in 2019. Our demography provides a distinct edge in terms of availability of skilled as well as unskilled labour. The sheer potential of this can only be leveraged by facilitating an environment that fosters entrepreneurship and innovation. 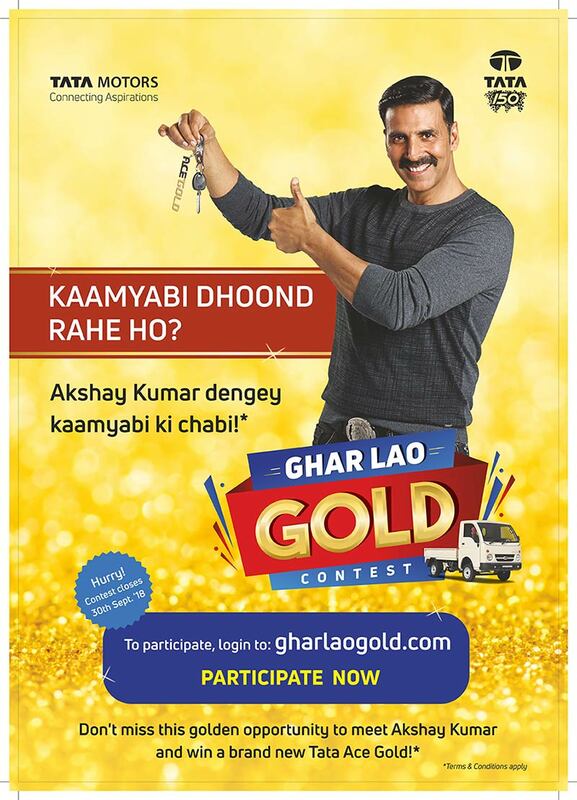 It is with this objective, Tata Motors launched the Ghar Lao Gold Contest, with an aim to foster entrepreneurship, across the country. We are immensely pleased with the overwhelming response the contest has garnered. The Tata Ace has helped thousands of entrepreneurs fulfil their dream in the past. With this contest, we look forward to assisting more budding entrepreneurs in their quest for success.